What is Leap of Kindness Day? On Monday, February 29, 2020, we all have one additional day in this #LeapYear. We believe the best way to use this one extra day is to do something kind for someone else. 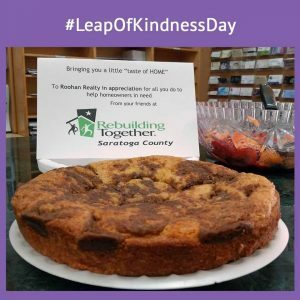 Thus, we are inviting everyone in Saratoga County (and beyond) to celebrate February 29, 2020, as Leap of Kindness Day. You can join our #leapofkindnessday celebration simply by doing something kind for someone else and if someone else does something kind for you then pay it forward. 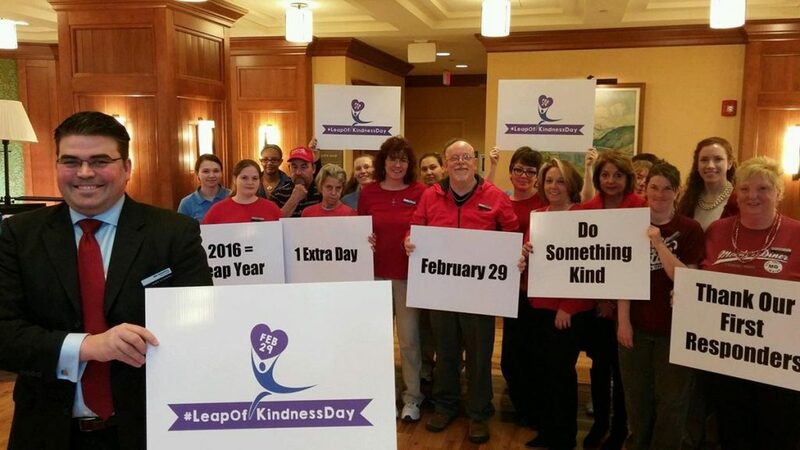 The chamber created a website at www.saratoga.org/foundation/about-leap-of-kindness-day where local organizations and individuals can get ideas on what they could do on their own or with their co-workers on Feb. 29 to join the Leap of Kindness Day celebration. 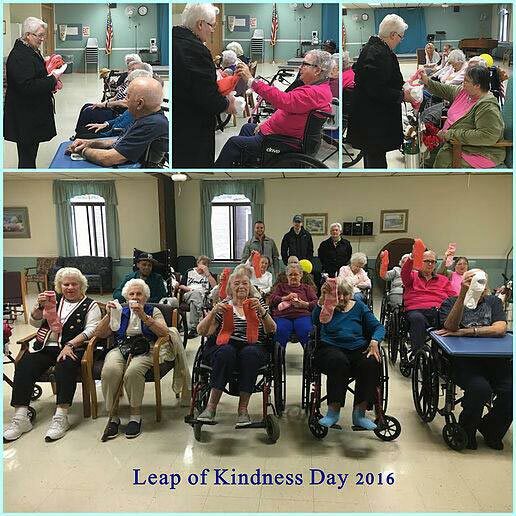 For more information about the chamber and Leap of Kindness Day visit the chamber’s website. Collect and deliver items that will be sent to troops stationed overseas by Operation Adopt a Soldier. 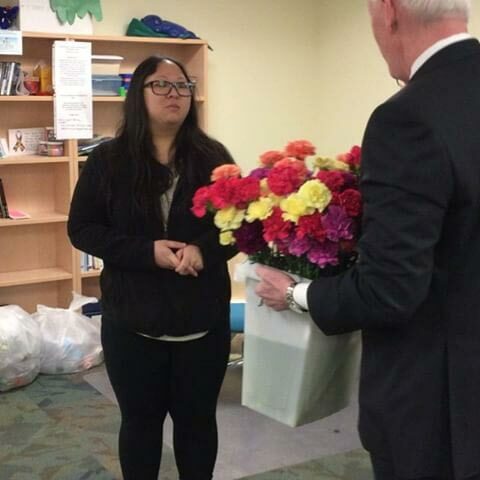 Local nursing homes have hundreds of residents who would love to receive flowers and/or new socks. By Feb. 29, many local pantries will be in desperate need of food. Your organization can collect and deliver food to a local food pantry on Leap Day. On Feb. 29, when you get your daily cup of coffee, dine out for lunch or dinner or patronize any local business where tips are accepted, tip big as a way of doing something kind for those who serve you on this special day. Send a note of gratitude to your child's teacher. Before Feb. 29, employers could host a staff meeting to solicit ideas to do something together as a team at the start of the day, at lunch or after work. Leap of Kindness Day offers everyone a great opportunity to thank our first responders — police, fire and EMS. Contact your local department to see if they'd accept a small token of thanks from your organization. Consider doing something nice for those who work in health care and/or their patients. Call your local senior center to ask if there is something you can do to help them. 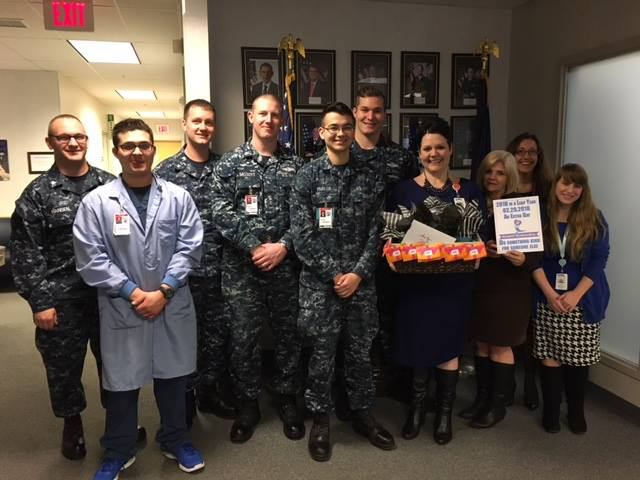 Donate coupons for free coffee, a free ice cream cone, movie passes or something else as a way of saying thank you to Navy sailors as they complete their training to operate the fleet's nuclear propulsion systems and their families. Call the chamber at 584-3255 and they will arrange for the delivery of your act of kindness. Consider it your extra day to write a thank-you note to a co-worker or to bring someone in your organization a cup of coffee or to take them out to lunch. If you do this, invite them to "pay it forward" and you might see your workplace at its best on this extra day. Make an online donation to a charity or nonprofit of your choice.